REMANUFACTURED CYLINDER HEAD EXCHANGE- REBUILT & READY TO GO! Import and Domestic. Chevy, Ford, GM, Honda, Mazda, Toyota, Nissan, etc. Our stock is always rotating, we usually have the popular models in stock. Since inventory varies, it is best if you call for your make and model. Core charges vary with application. 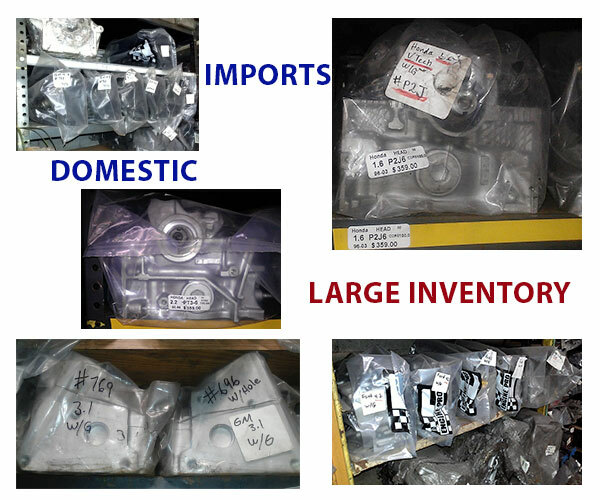 NEED CYLINDER HEAD WORK? Check out the links below.